When creating or editing Contract Terms within Settings > Contract, you have a formatting toolbar. This toolbar allows you to create professional, personalised terms with formatting features including. 1. 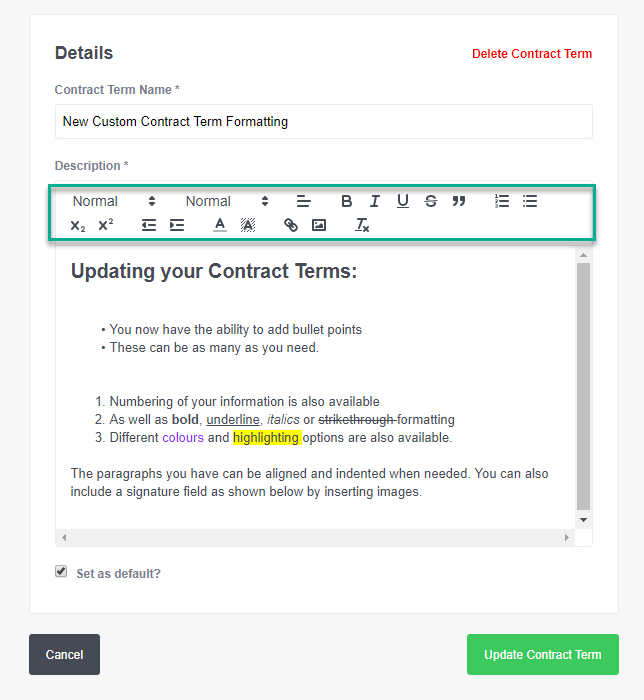 Navigate to the Contract Terms section of the platform and scroll to the bottom of the page to "Add new contract term"
2. Add the Contract Term Name and Description. In the Description section you will see the formatting tool bar (shown below).